VANCOUVER, March 4, 2019 /CNW/ - Leading Edge Materials Corp. ("Leading Edge Materials" or the "Company") (TSXV: LEM) (OTCQB: LEMIF) (Nasdaq First North: LEMSE) is pleased to provide an update on the progress of the internal corporate strategic review (the "Strategic Review") announced 7th January 2019. The review is being led by Company Chairman Mr. Michael Hudson and Mr. Filip Kozlowski, an Independent Director, and was initiated to identify, examine and consider opportunities across its portfolio of individual assets to enhance shareholder value. Leading Edge Materials is advancing a portfolio of European battery raw material projects including the fully built and permitted Woxna graphite mine in Sweden ("Woxna"), the Bihor Sud cobalt-copper-nickel project in Romania, and the Norra Kärr heavy rare earth element-zirconium-hafnium deposit, of which are all high merit projects within the European raw material sector. As a first step, the Strategic Review highlighted that the Company's combination of discovery-stage and development-stage assets may present different requirements with regard to operational structure, capital needs and investor preferences. The Board has resolved that the next stage of the Strategic Review will identify and compare opportunities for the Woxna graphite mine. Potential recommendations from this stage of the Strategic Review may include a transition to a freestanding European company, and will consider direct third-party investment into Woxna, horizontal or vertical joint-venture of with aligned parties, or a standalone public listing of Woxna on a Swedish exchange. The Board emphasizes that any recommendation is predicated on Leading Edge Materials continuing to hold significant exposure to the success of the Woxna graphite mine as a future anode supplier, while enabling the Company to allocate resources to progress discovery at other projects within the portfolio and therefore maximize value for shareholders. The opportunity for Woxna graphite to be use as a feed material for graphene production, and as a supplier to other high value applications. The Board restates that there is no fixed timeline for the Strategic Review and that the Company will disclose developments with respect to the review process if a potential transaction is identified and/or further disclosure is required. The Board cautions that there is no assurance or guarantee that any potential transaction identified by the Strategic Review will be pursued. Mr. Mark Saxon, Interim CEO Company stated, "The Woxna graphite mine is a unique project in the sector, with the capacity to be both a near-term and long-term supplier of European natural graphite anode, and other high value graphite products including graphene, to European customers. Woxna has consistently attracted significant interest, with a high European industrial awareness of potential products and regular inquiries around current status. The Strategy Review is seeking mechanisms to accelerate the transition of the mine from the production of flotation concentrate only, to the production of high-purity anode, which should be beneficial to both Leading Edge Material shareholders and emerging European lithium ion battery customers." 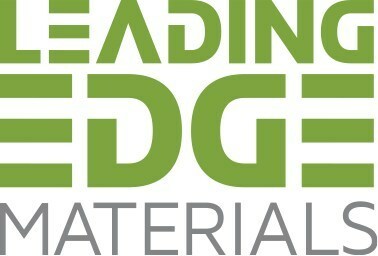 Leading Edge Materials is a Canadian public company focused on production of high value critical raw materials for the European market, with an operating base in the Nordic region, a region well recognized for its promotion and investment in innovation. LEM's flagship asset is the Woxna Graphite production facility located in central Sweden targeting the supply of specialty materials for lithium ion battery production. LEM's assets and research focus are towards the raw materials for Li-ion batteries (graphite, lithium, cobalt); materials for high thermal efficiency building products (graphite, silica, nepheline); and materials that improve the efficiency of energy generation (dysprosium, neodymium, hafnium). Investments are linked to the global shift to low-carbon energy generation and energy storage. Leading Edge Materials currently operate in four divisions, Graphite, Lithium, Rare Earth and Cobalt. Mangold Fondkommission AB is the company's Certified Adviser ("CA") as part of the listing requirements for Nasdaq First North. This information is inside information that Leading Edge Materials Corp. (publ). is obliged to make public pursuant to the EU Market Abuse Regulation. The information was submitted for publication through the agency of the contact person set out above, at 4th March 2019 at 1:00 PM Vancouver time. Leading Edge Materials is listed on the TSXV under the symbol "LEM" and Nasdaq First North Stockholm under the symbol "LEMSE". Mangold Fondkommission AB is the Company's CA on Nasdaq First North and may be contacted at +46 (0) 8 5030 1550.